A book named "The Threshers Yard - A Story of North Oxfordshire Steam Threshing Contractors - LAINCHBURYS OF KINGHAM 1862-1987" was written about the company by John L. Compton in 1993. We are told inside the front cover that John L. Compton is a pseudonym, and I have been advised that the L. Compton was taken from the name of the nearby town Long Compton. 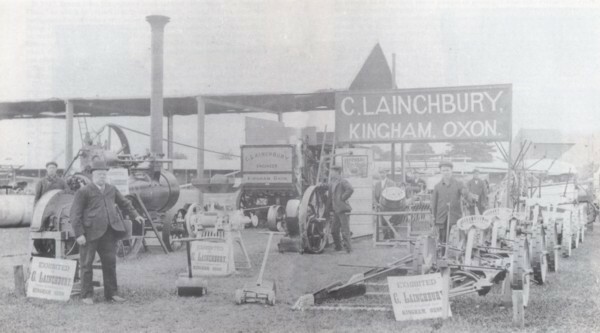 This picture, kindly given to me by David LAINCHBURY, the last owner of the firm, shows a Trade stand at an agricultural show at the beginning of the 1900s. The book does not contain much in the way of genealogy because its purpose is to talk about traction engines, but it is full of photos of the old machines the firm used and manufactured. 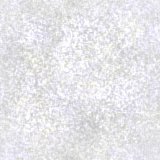 However, there is some family data mentioned. Lainchburys of Kingham, 1862 - 1987, started by John Lainchbury. The name has been recorded in this part of Oxfordshire since the early part of the 18th century. A William Charles Lainchbury was married in Kingham Church in 1734 and John was possibly a descendant of this marriage. John was born in 1807, the 2nd of five children. He married in Cornwell in 1832 and had four daughters and three sons, one named Caleb born 1845. John bought his first engine in 1862. He moved his business from Cornwell in the 1870s. He died in 1881 and is buried in Cornwell. Caleb was now in charge of the firm. He married Elizabeth Bond and had seven children from 1868 the last born in 1886, five females between the first and last male, two died young, Ada May 1884 - 1887 and Eustace Caleb 1886 - 1887. Caleb was Churchwarden for over thirty years. The eldest son, Ernest John, born 10 May 1868 worked in the firm. Caleb died in 1918. Ernest married in 1896 and had four sons and one daughter. He was still working in 1955 aged 87. His eldest son, named after him, began work in the workshop in 1914. In 1917 he joined the Royal Flying Corps, but he rejoined the business after being demobbed in 1919. In 1957 Ernest wrote his book "Kingham - The Beloved Place". Ernest's sons Charles Edward and Arthur William worked with their father, the youngest son George Caleb worked in the Midland Bank, he died in 1991. The family all were "pillars of the local community, councillors, churchwardens, Waywardens and Lay Preachers. A family who gave employment to their local villagers. The 1881 Census for the UK shows the founder of the company, John Lainchbury in Kingham, Oxfordshire. This is John's son Caleb and his family in Cornwell, Oxfordshire. Caleb was later to take over the business. Buried at Kingham: 9 Sep 1918 Caleb aged 73 years and Elizabeth 9 Feb 1907 aged 60. Again kindly given to me by David LAINCHBURY, this photo shows the directors of the firm 'LAINCHBURY & Sons Ltd' in November of 1962. 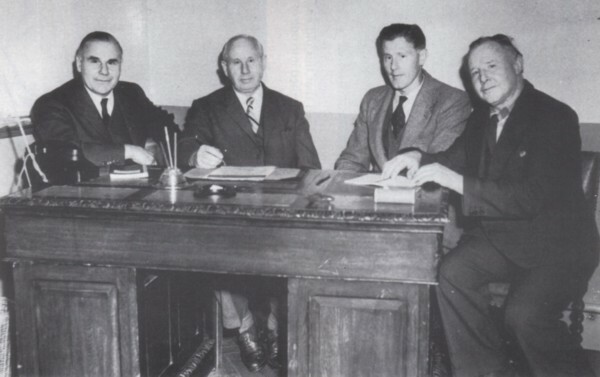 Left to right are Arthur William, Ernest John Jnr, David John and Charles Edward. Here is David LAINCHBURY during his National Service in the R.A.F. from 1948 to 1950. Thank you so much for the photo David!